We’ve still got a good two months of summer left and that means now is a fabulous time to get the RV you’ve always wanted. In fact, it’s time for our Model Year Clearance Sale. All 2017 and 2018 models are priced to move. You’ll get the best price possible on all RVs including motorhomes and fifth wheels. Here are a few options available during our sale. 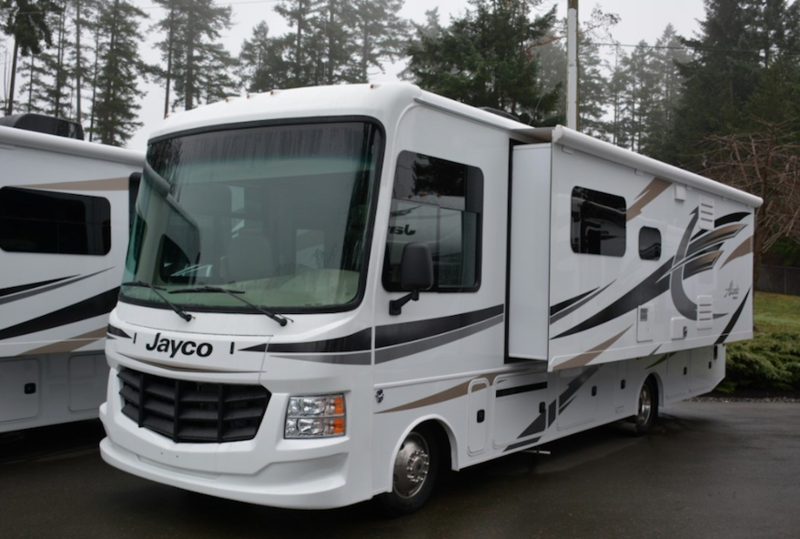 The gorgeous Jayco Precept truly sets a precedent for quality, luxurious class A motorhomes. It sleeps up to 6 people and is a great option for families looking to vacation with the convenience of a motorhome. This motorhome comes with a full bath, as well as a half bathroom. That means no more waiting in line for the bathroom. An attractive fireplace is welcoming and makes the living room the perfect cozy place to pop a DVD on or play a board game. And if you’re looking to host friends for a tailgate you will love the outdoor entertainment center. 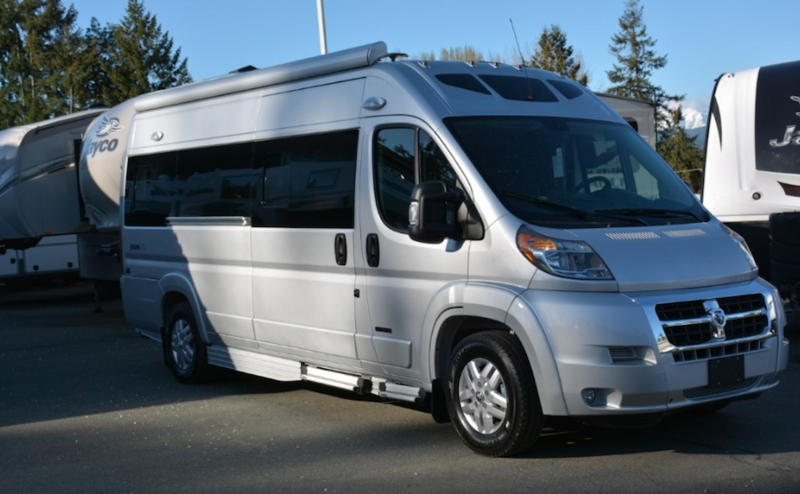 A class B motorhome that sleeps 3, this RV offers everything you need as well as a little more to enjoy your time on the road. A propane stove, side sink, and microwave offer you the tools needed to cook great meals wherever you area. And once you’re parked you’ll love being able to convert your seats into a large bed that measures 70″x33″. There’s also a sink, shower, and toilet located behind the driver’s seat. If you’re interested in learning more about our available RVs during our model year clearance sale, contact us. We can help you find the best RV for your needs and make sure you have the information needed to make the best decision for your family. We are also proud to offer RV financing and RV parts and service.